RETRO KIMMER'S BLOG: GENIUS: PICASSO ANTONIO BANDERAS AND ALEX RICH ARE FABULOUS! 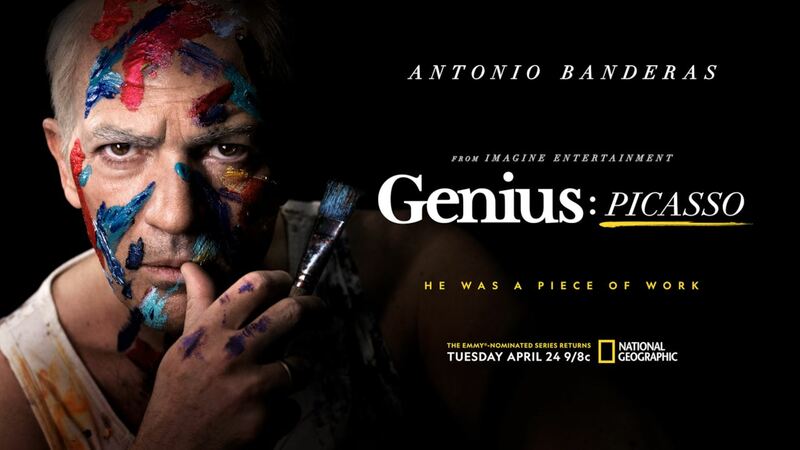 GENIUS: PICASSO ANTONIO BANDERAS AND ALEX RICH ARE FABULOUS! I am addicted to Picasso this week...Wow, Antonio Banderas and Alex Rich do a fabulous job portraying the Genius: Picasso. What a complicated story and a very complicated soul was Pablo Picasso...I had to keep looking up his list of women, friends, girlfriends,wives,lovers etc... Here is that page..
Picasso's story is a long one as he bgan his career in his early teens and painnted until his death in his 90s. what a man... Take a peek at the trailer..
As one of the 20th century’s most influential and celebrated artists, Pablo Picasso imagined and interpreted the world in totally new and unorthodox ways, reinventing our perception of creativity in the process. Starring Antonio Banderas and Alex Rich in the titular role, the second season of National Geographic’s 10-part, Emmy-nominated global event series, "Genius: Picasso," explores how the Spanish-born artist’s passionate nature and relentless creative drive were inextricably linked to his personal life, which included tumultuous marriages, numerous affairs and constantly shifting political and personal alliances.